Whilst it’s advisable to put thorough time and effort into planning the perfect cruise getaway, sometimes time and scheduling constraints work against you — leaving you with no choice but to book a spur-of-the-moment getaway when the time is right. There are, however, plenty of benefits to booking last minute, not least the fact that you could receive a stonking great discount off your booking. When it comes to cruising, operators will do anything to get bodies in beds — including slashing their prices. So if you’re in the market for a last minute, no fly cruise break at the right price — here’s our pick of the best available this summer cruise season. With a name like “Retreat to Isle of Pines”, you just know this cruise is going to offer complete relaxation and tranquillity. Sailing aboard P&O’s Pacific Pearl on 10 November, this 9-night round-trip transports passengers to the paradise islands of the Pacific — specifically Lifou and the illustrious Isle of Pines. With white sands and turquoise seas aplenty, this cruise offers the perfect respite from the 9 to 5 grind. If, like many, you’re drawn to the South Pacific on account of its utopian beaches and wall-to-wall sunshine, you’ll doubtless fall for Holland America Line’s Pacific Treasures — a 12 night cruise calling at five of the region’s most coveted destinations. Sailing from Sydney aboard MS Noordam on 5 December, this round-trip itinerary affords guests ample time at sea and on land — making it an excellent choice for those taking their first at sea holiday. If you want to take advantage of northern Australia’s wonderfully warm summer weather, Royal Caribbean are here to help with their brilliant itinerary, Australian Top End. Travelling up, over and around the country’s north coast aboard Radiance of the Seas, this sailing gives passengers the opportunity to explore some truly unique destinations, including Port Headland, Yorkeys Knob and Brisbane. Radiance even makes a stop in Bali, Indonesia — allowing guests to sample one of Asia’s most vibrant and evocative destinations. Papua New Guinea may sound like an exotic, far-flung destination, but in reality it’s not far from our shores. In a matter of hours, guests could find themselves lounging on one of the island’s many sun-kissed beaches, or else exploring one of the colourful markets which litter the isle. Sailing aboard P&O’s Pacific Jewel, this round-trip Sydney sailing is perfect for an impromptu break this November. 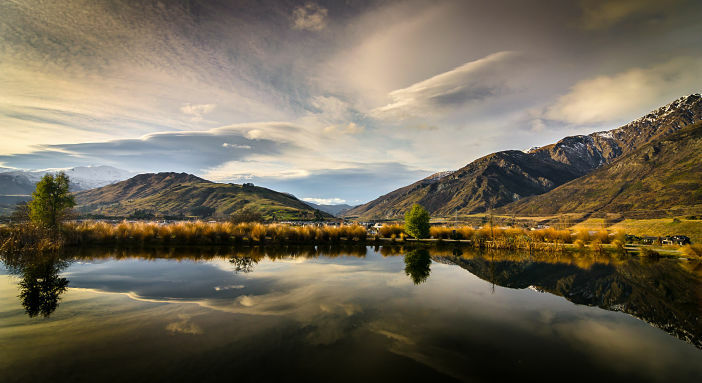 New Zealand is without question one of Australia’s best-loved destinations, with millions making the 2,000-mile journey across the Pacific to visit the country each year. If you’re looking for a spur-of-the-moment cruise break, New Zealand is one destination that’s difficult to beat. One of our favourite cruises to the region is a 13-night sailing aboard Princess Cruises’ luxury ship, Dawn Princess, which will next depart on 24 November. If you want to be on-board, be sure to get your booking in soon. To browse a complete range of cruise breaks, visit the Cruise1st Australia website or call us on 1300 857 345. Images sourced via Flickr Creative Commons. Credit: Tom Hall, Gordon Stubbs, Nam Nguyen, Tim Moffatt, eGuide Travel.